It’s always fresh and exciting to welcome new technology and gadgets into our lives. But more often than not, it’s the things that the development community does with those new gadgets that gets excitement levels pumped up and makes us want to own the product. Apple’s introduction of the fourth-generation Apple TV was great, but the video showing a version of the MAME Emulator running on it was better. And now, Kevin Smith, the developer behind the aforementioned MAME port, has now released a new video that shows Steam games being streamed from a PC to an Apple TV. Rather than concentrate on developing something amazing and revolutionary for the Apple TV to release onto the tvOS App Store for the armchair-resting-world to enjoy, it seems that Smith prefers getting down and dirty with existing open-sourced projects to see what concoctions he can create from them. First time around it was progressing and porting the MAME Emulator to the fourth-generation Apple TV, and now, it’s a progression of the Moonlight iOS project that was initially based on NVIDIA’s GameStream. The key here was to get the project up and running as a functioning solution on tvOS so that it runs on Apple’s new set-top box. Judging by the video showing Grand Theft Auto V running on a PC and being streamed to the Apple TV, it looks as though Smith has yet another tvOS success under his belt. The impressive part here is that the games are not actually being executed directly on the Apple TV. These are not ports of iOS games for tvOS. Rather, they are actual games being played via Steam on a PC that utilizes the customized version of Moonlight iOS to beam the content across to the connected TV via the Apple TV. Gaming is likely going to be a big part of Apple’s plans throughout 2016 and beyond. 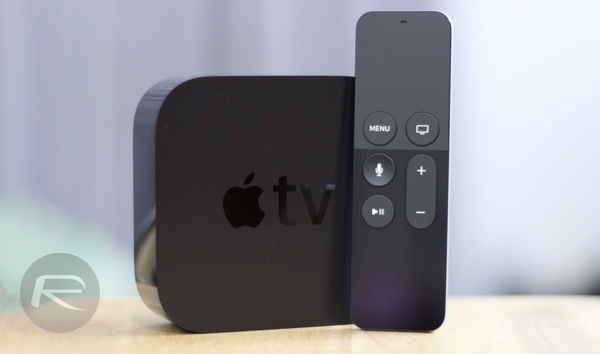 The introduction of the fourth-generation Apple TV, which comes complete with a developer-facing SDK and tvOS-based App Store, has a large focus on mobile gaming that will undeniably appeal to those couch-based gamers who simply do not want to splash out on a $350+ console like the Xbox One or PlayStation 4. The fact that developers have access to frameworks and platforms like Unity 3D and Apple’s own Metal gaming framework, as well as having the option to support third-party controllers in their games, means that Apple could have a very successful living room-based gaming success on their hands at a fraction of the cost of the competition. Smith has released two videos of the contraption in action, one with GTA V, and another one with Dirt 4.